Adaptive swim lessons use techniques that place emphasis on swimming skills modified or adapted to accommodate individual abilities, needs, and goals, regardless of age. Lessons are created for, but not limited to, those with anxiety, physical, sensory, communication or behavior challenges. 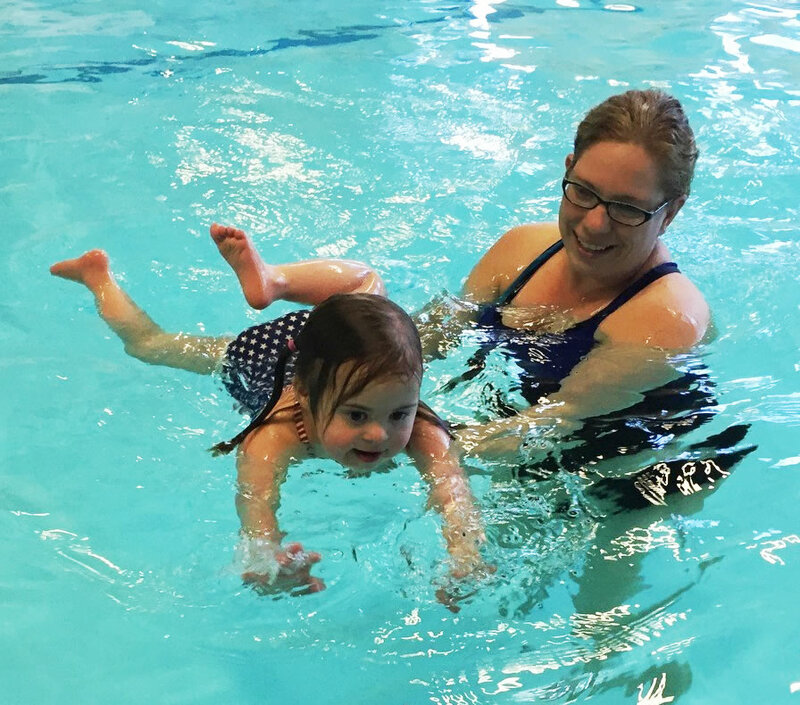 Why should I choose adaptive swim lessons for me/my child/my dependent? Water mutes sounds and provides a break to those with auditory sensitivities. The temperature and consistent pressure of the water against the skin can serve as a source of constant, easily discernible, and calming sensation. Learning some swim strokes, like front and back crawl, helps improve bilateral coordination because they involve crossing the mid-line and coordinating movement on both sides of the body. 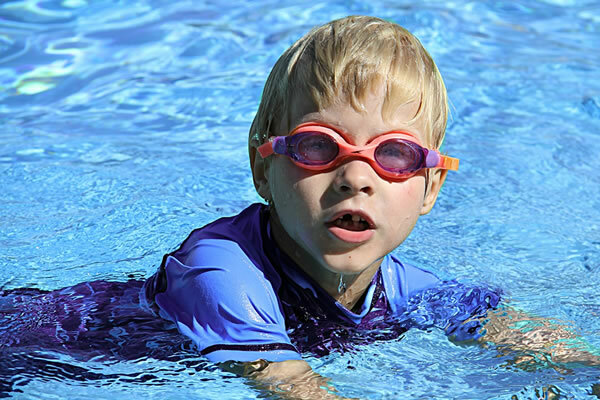 Gradually learning swim stroke patterns helps those with motor planning difficulties. You’ll have a sense of independence – you won’t have to rely on any supportive device, such as a wheelchair to move around. The water’s buoyancy evenly distributes and supports the weight of the body; there is no danger of falling, and there are no impact forces on the residual limb. Strengthening of cardiovascular systems and the major muscle groups of both the upper and lower body. Improved flexibility in the muscles and joints – you’ll perform a wide range of motion against the water’s resistance. Keep your heart rate up but takes some of the stress that is common in impact sports off the body. Why teach my child with special needs how to swim? Swimming is fun! Some of our clients discover their love for the water such that the most difficult part of the lesson was how to end it. It’s an essential life skill. Unfortunately, accidental drowning is among the leading causes of death of children typical or with special needs. It’s a great way to build self confidence. It’s a life long skill that can help with fitness and wellness. No one is too old to learn to swim. Who benefits from adaptive swim lessons?